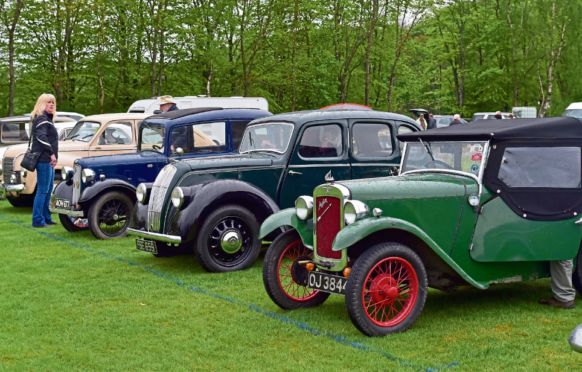 Hundreds of cars and visitors took take part in Turriff’s vintage car rally. Despite rain threatening to spoil festivities, moods remained high throughout the event on Sunday. Cars such as the Triumph Acclaim and Morris Minor were among the attractions. There was even a visit at the rally from the Tartan Lug, the Scottish Lego building group, which brought along its own car to the event – entirely made out of bricks. The Turriff rally is the first event on the year’s the motoring calendar, with Fraserburgh hosting its 27th annual rally on June 3.